Remember the old saying "a picture is worth a thousand words?" images you’ve seen – they will help cement the concepts in your mind. 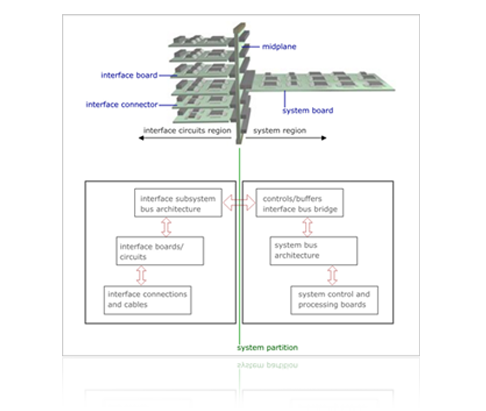 expands to design architecture and approaches to system integration. concepts so will know how and when to apply proven design methods. 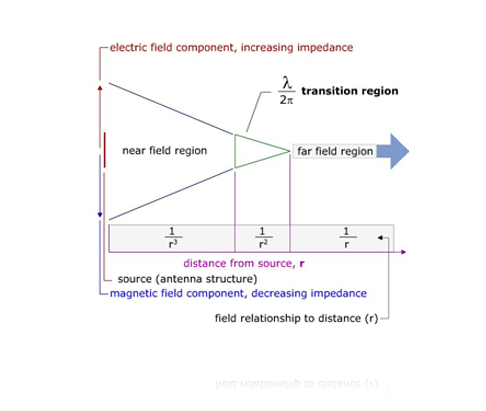 applications by using tables & examples that engineers can quickly apply. of possible non-compliance issues that may arise during product testing. 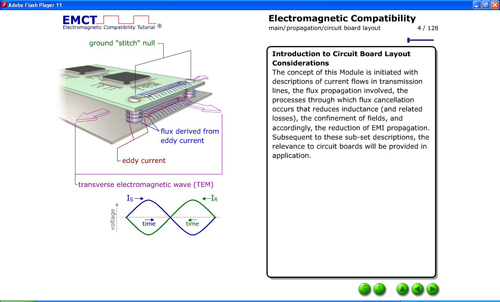 We are proud to offer EMCT: The Electromagnetic Compatibility Tutorial, version 3.0. 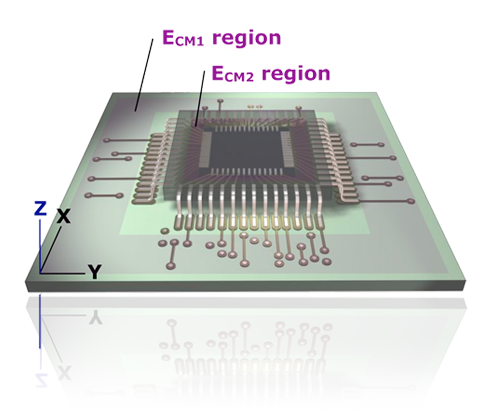 Our EMC training program has helped design numerous highly reliable, cutting-edge electronics, and create EMC-compliant designs. 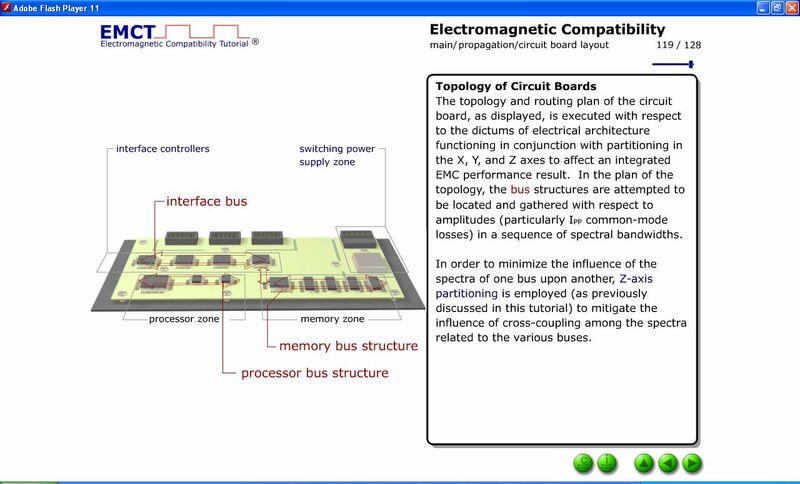 In addition to the completely new EMI Troubleshooting Module, EMCT offers an array of content in the form of training modules. 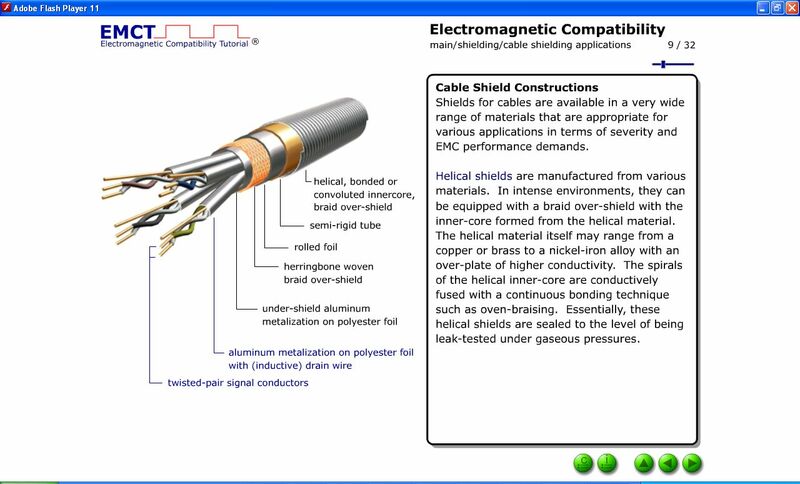 Every Design and EMC Engineer should have a copy of EMCT version 3.0 installed on their computer at all times! 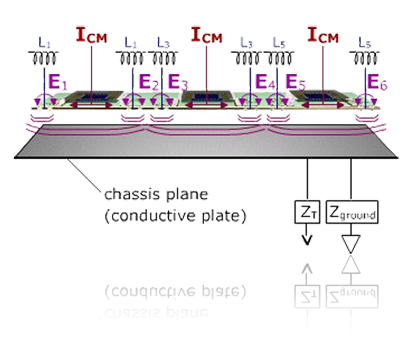 Originally developed as a tool to assist designers achieve EMC compliance, EMCT is now being used by hundreds of users worldwide to design high speed, high frequency, and low noise systems. The depth of content and high-quality multimedia illustrations contained in EMCT have immediately established it as the premiere educational tool for anyone interested in expanding their knowledge of the real world engineering principles. 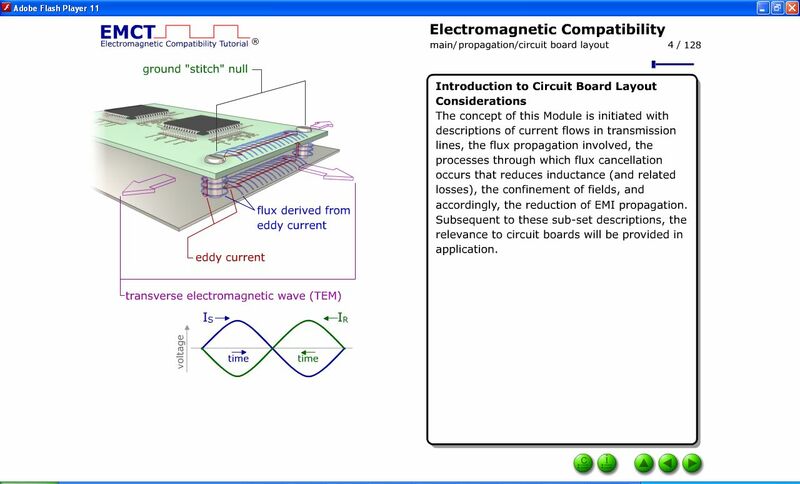 Whether you are a novice looking to expand your knowledge in system design or a seasoned engineer looking for a comprehensive reference manual to assist you with any professional design challenges you might encounter, EMCT is the product for you! 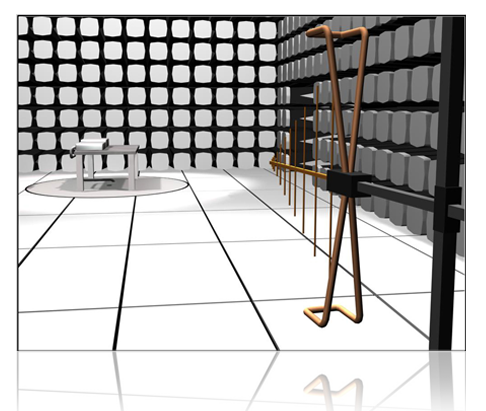 EMCT is a compilation of 4 learning modules, plus an introduction, that provide a complete course of study in the various concepts of electromagnetic compatibility. Since EMCT contains over 1600 screens packed with information and multimedia illustrations, the subject matter has been organized in this way to better facilitate the learning process and to make it easier for the user to find the specific information they need. EMCT has successfully passed the IEEE peer review process, so you know the product meets the highest professional standards. But if you need further proof, Dr. Howard Johnson, Ph.D., said in an EDN article "... let me tell you about a tutorial I saw this week that flipped my bits. EMCT is written by my favorite EMC guru, W. Michael King ... If you can't get King to personally train you, the next best thing is to check this out ... EMCT tutorial is a very high-quality offering." EMCT has also appeared in the pages of Compliance Engineering, Conformity Magazine, The EMC Society Newsletter, RF Design Magazine, Test & Measurement World and numerous other publications. 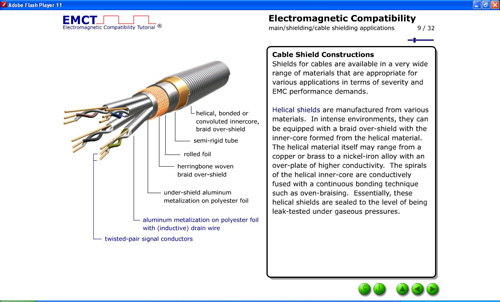 View all the EMCT data sheets. Please Note: Special pricing and licensing options are available for certain types of educational institutions. Please contact us at info@emctutorial.com for more details. Once purchased, the software download link will be emailed to you within 48 hours.